Ever been abroad and unable to communicate properly with the locals? The state of the UK language education system is such that it's a common occurrence even if we jump over the channel to continental Europe. Few can improve upon Del Boy's wonderful Franglais - mange tout, Rodney! - so most of us rely on either an English speaker on the other end or, for the smartphone-savvy generation, a translation app. 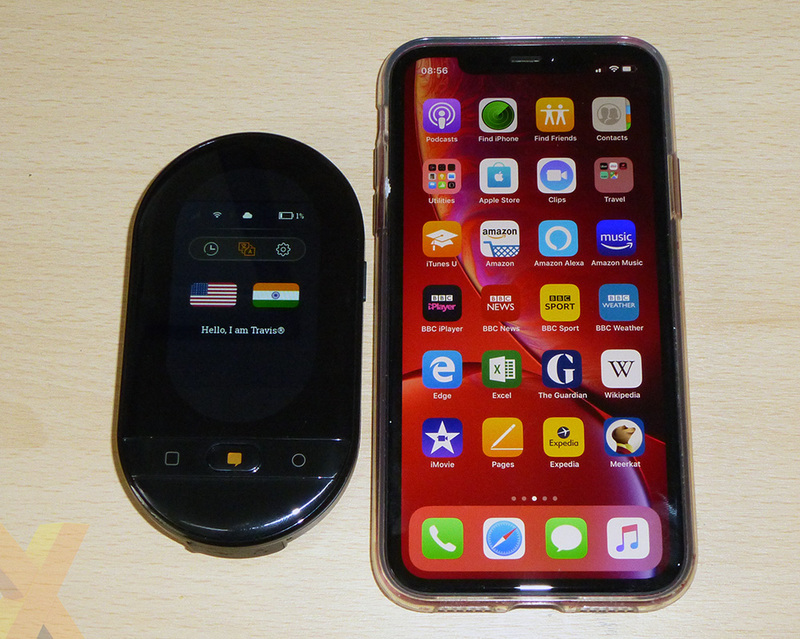 Though ever-evolving apps like Google Translate, Microsoft Translator, Translate Now and iTranslate do a fine job of voicing translations in myriad of languages, there are instances where fumbling around with an expensive phone, especially for those not au fait with an app ecosystem, is where a standalone device can make sense. It is into this niche that the Travis Translator Touch wants to play. A bit of history first. Set up in 2016 in Rotterdam by three entrepreneurs, Travis used the Indiegogo platform to raise £1.6m for the original device shipping in 2017 and a subsequent, improved model known as Travis Touch, priced at 199 euros. It is the latter that we're taking a look at today. The Travis Touch Plus, available in black and white, resembles a large pill or lozenge. Measuring 110mm tall, 60mm wide and 16mm thick, it's both easily pocketable and a fair bit smaller than leading smartphones of today. Ease of use is key, so Travis Touch features only four buttons. There's screen on/off on the right-hand side and a trio of activity buttons below the screen. On the left-hand side Travis Touch provisions for a nano-SIM slot - more on that later. The top has vents for a surprisingly loud speaker while the bottom carries micro-USB for charging and a headphone jack, both hidden behind a dust cap. In a thoughtful touch, the device is compatible with Qi charging stations, too, and battery longevity is reckoned to be about six hours for continuous online and 12 hours of offline usage. As the name suggests, the 2.4in (240x240px) touchscreen offers the most intuitive way for translation. It's reasonably bright and comfortably readable in normal daylight conditions though struggles in direct sunlight. Selecting the languages for translation simply requires choosing their respective flags via the touchscreen, which can be a bit slow, or by verbally requesting Travis Touch do it when clicking on the so-called 'magic' physical button in the middle of the trio. Once set, say from English to Spanish, the user presses the left-hand button and speaks the words required for translation, then Travis spits the output through the speaker. The recipient then speaks the answer after pressing the right-hand button. As you would expect, Travis Touch then translates back into the source language for you. Nice and easy. Sounds appealing when the device 'speaks' 105 languages, doesn't it? But there are a few key provisos to be aware of. Like most app-based translators, Travis Touch needs to have an internet connection to access its full repertoire of languages and regional dialects, either via Wifi (jumping off your phone's connection, perhaps) or that dedicated 3G nano-SIM. Handily, the company offers a 1GB Global SIM for 29 euros for users who are likely to be outside of Wifi coverage on their travels, though wouldn't it be a real value-add to have it already included in the bundle? Travis defaults to its rudimentary baked-in support if no mobile connection is present, encompassing nine spoken input and 16 spoken output languages. The rest are translated via text on the device. Being online paves the way for a vast array of languages both spoken and written, and an ever-so-handy translation table (PDF) details Travis' capabilities. The overall list is about as comprehensive as Google's Translate, but Travis wins out, on the spec sheet at least, by speaking more when offline. Offline spoken translations are generally poor between supported languages when asking for anything more complicated than 'what is the time?' Going from English to Hindi, for example, asking 'what time is the next bus to Pushkar's temple?' leads to an unintelligible response that's mostly garbled. I'd hazard that any native Hindi speaker would be hard-pressed to make any sense out of it. The same is true when going the other way around. The text translation, I am assured, is better, but not perfect. The device-makers reckon the Travis is better than any one app-based translator because, when online, it chooses between 16 translation engines, via smart AI, for best-in-class, most accurate translations. Sounds impressive. I tasked the Travis Touch Plus to verbally translate 20 or so phrases from English to Hindi and back to English, replicating a conversation that might happen when out in the field. The results were actually decent, because it got most of them bang-on right, but every so often it would substitute a less-commonly-used word for another. Compared to Google Translate on my smartphone, I'd say the two-way translations were a hair better. Amusingly, trying to get Travis to translate rather rude phrases resulted in it repeatedly saying 'asterisk, asterisk, asterisk' in place of the slur. Online translations are easy and accurate, but I bet the question most of you are asking is why do you need it when a phone-based app can do 99 per cent of what Travis does? Good question, especially when you factor in the inability of the Touch, which is camera-less, to translate images and written menus - a handy feature that many use. The answer, I guess, is that same ease-of-use and convenience. Travis Touch isn't nearly as expensive as my iPhone XR, so it would hurt a lot less if it was lost or dropped. It's also alarmingly simple to use for older people who aren't habitual smartphone users. My mother understands how to us Travis but has a harder time navigating through apps. Travis' target audience, therefore, isn't those totally comfortable with app-driven smartphones. Rather, it's a select niche of business users, retailers, and (older) travellers who want a single, dedicated device for accurate translations. In that context, I see merit in it, and the company says it's adding features such as Travis Teacher and upcoming Travis Assistant and Conversation Modes to broaden the device's appeal. The bottom line is that I feel there's scope for a dedicated translation device if done well. The Travis Touch Plus, priced at about £170, makes a decent case if you fit into its customer wheelhouse. 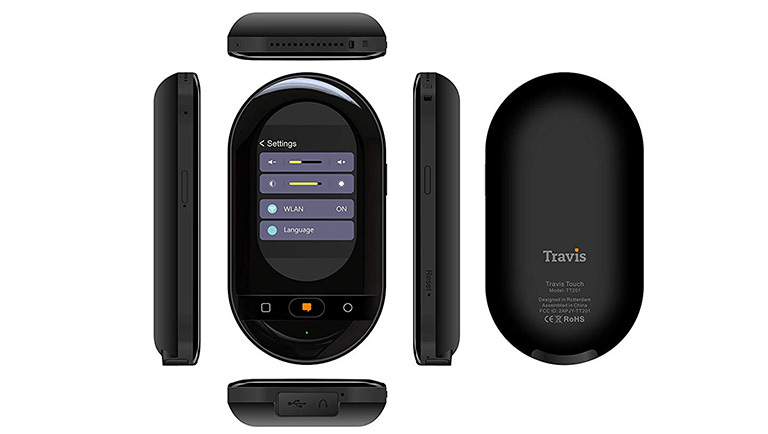 The Travis Touch Plus is available from Travis Translator. If this were a reasonable price i'd get one, I'm constantly getting caught out with my limited french.